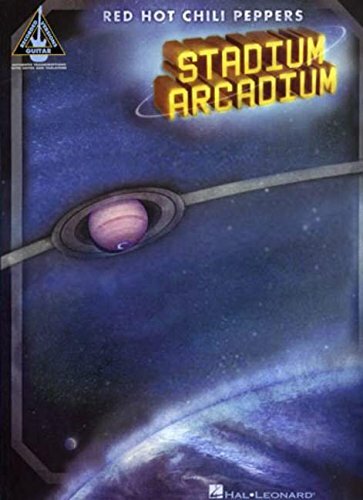 Stadium Arcadium is the ninth album by the world's favourite California funk-rockers and continues the band's progression into a mature, deeper, soulful and more melodic sound as already displayed on the multi-platinum albums Californication and By The Way . After bridging the gap between the US college-radio alternative scene and the rock mainstream with a barrage of hi-energy funk-inspired punk in the late 1980s, Red Hot Chili Peppers have refined their sound and embraced the memorable simplicity of popular music and three-part vocal. The resulting album boasts some of the most beautiful melodies of their career, with Kiedis' unique vocal style complemented by John Frusciante's ever more inventive and stunning guitar arrangements. Every song from the double-album has been carefully and accurately transcribed in this matching folio, complete with melody line and full lyrics, including Dani California, Tell Me Baby, Snow (Hey Oh) and Slow Cheetah .